Where have you heard the phrase “content is king”? At a training event? During a networking event? Perhaps you signed up to a marketing agency’s email newsletter, and in every communication there it is in glaring double-bold fonts. It’s the catchphrase we hear everywhere. Content rules all. We know this. But how do you create content that your readers can't ignore? We’ve got a whole suite of tips for writing web content to hand, ready to help you uncover the secrets of good content writing. From the benefits of getting to grips with content marketing to using targeted content to help your buyers make decisions, we developed these resources to help businesses everywhere understand the true value of content marketing. What you might need a bit more help with is knowing where to start. So here’s a good place to begin your research - your existing web content. Even if you’ve had a new website created for your company recently, there will be opportunities to improve the content on each page. The older your website is, the more obvious some of the essential improvements will be. The first task you have to do is relatively simple. Start your website content writing revolution by conducting a website audit. A full website audit will scour every dusty corner of your site, uncovering irrelevant or outdated content and finding new and exciting ways to present your products and services to your customers. Never conducted a website content audit before? Take a look at this guide on web content audits and see how you could put our tips into practice. The idea is to find improvements. Don’t be disheartened if the number of issues raised during your audit keeps creeping higher and higher - this is precisely why regular audits are so useful. They turn up problems like dead links and error messages just as often as they weed out clunky sentences and bad text justification. That’s what they’re for. Every web audit is a positive exercise, even when you’re turning up problems. Think about it: if you hadn’t run the audit, it wouldn’t be you seeing the issues… it would be your customers. Remember, every page is critical, from the home page to each product or service page. Try splitting out the website content to be audited with your team. Each member will have their point of view and levels of understanding - just like your customers. Are the posts grabbing your attention? Are the posts relevant or at least industry-led? Are the posts out-of-date or requiring an update? Have you successfully identified the gaps in your website content? Now we get to work. It’s time for a plan. Once you’ve scoured every page for potential and actual problems with super-strength precision, it’s time to identify any content gaps you could plug with valuable information. The next stage is a big one. Now the research is done, your next task is to draft together a website content outline that collects all of your audit findings into one big colour-coded (if you like) plan. When you create your plan, make sure you’re taking all of your customers into account. You may have different arms to your business, such as men’s and women’s fashion. You want to make sure you’re lassoing every possible lead that visits your website - from the top of the funnel to the bottom. If you want your aspiring customers to come to you, then you have to position yourself as an attractive proposition, that where inbound marketing comes in. The inbound methodology means attracting, converting, closing and delighting your customers. They enter as a strangers and become promoters. It’s not a single transaction. To write content in this style, you need to consider the buyer’s journey and how different forms of content are written for each stage. It’s known as top of the funnel (awareness), middle of the funnel (consideration) and bottom of the funnel (decision). Top-of-the-funnel visitors will need transparent information that educates them and doesn’t try to sell them anything. Mid-funnel visitors have an idea of what they need, so tell how they can get it. At the bottom of the funnel, you need to be grab your customers before they take their business elsewhere - so persuade them why they should partner with you. Make sure there’s a hub on your website where aspiring customers who have no prior knowledge of your company can find out everything they need to know; this is usually in a blog. Make sure these pages start the journey and have a clear pathway that takes them to the next stage. Create blog posts that appeal to visitors right at the start of their customer journey. They may have no idea of the products or services you provide, and it’s your job at this stage to arouse inquisitivity. Don’t name drop your brand at this stage of the journey. Keep your information exciting and under absolutely no circumstances speak down to your customers. Sticking to the same role-play as before, if you make and sell mountain bikes, to hook your mid-funnel visitors into spending more time on your site and becoming more likely to return and make a purchase, you need to create some inspiring, engaging content. Make them feel like you care. Give them content they can connect with. This is often seen as the “soft sell”, but how to write web content that takes hold of your customers takes a lot of marketing knowledge. Website content writing has gone far beyond basic product description. Most of what you write for this level won’t be about your brand; it’s about how your content helps the customer. And if you don’t believe it, nobody will. Why do mountain bikes require precision parts? Pack your posts with relevant calls-to-action and product placements, and you’ve got yourself some captivating content that’s doubling as a sales pitch. Your aspiring customer just dropped by your website for a final look. They’ve read up on your products and they’re weaning it down to the last few sellers. Now it’s time to impress. If they’ve reached this stage, you need to help them make up their mind with a friendly nudge in the right direction. Can you get them to submit an inquiry? Do you have a pricing page? Think about what pieces of content you could use to persuade them to buy from you. If they’re looking at a particular bike, what do you offer? A video maintenance guide? Free maintenance for a year? Think about how you’ll package that on your website. Something to bear in mind while you’re planning your content: long-read and long-form content generate nine times more leads than shorter posts, according to Curata. Make sure you’re giving your visitors enough to read, keeping the important information at the top for those who don’t want to stick around for the whole post. Include any offers where the visitor can see them, it’s no use having them at the bottom of the article if nobody makes it that far! What About My Other Pages? You'll want to convey a different message on each of these page types. Your contact page would contain different information to your product page. Your product pages would be more persuasive and contain less text that your blog. Consider how you want these pages to appear and what the most crucial information should be. Not everyone is a natural. Not everyone knows how to write website content. This is never more obvious than when a team has gone in all guns blazing for the first few major pages and lost enthusiasm as the project progressed. Running out of steam leaves website pages feeling disconnected. Don’t make your customers feel like clicking on a page has sent them into the back of a dingy warehouse. Consistency - does each page read and “feel” the same? Clarity - does what you’ve just read make immediate sense? Captivation - has the content grabbed your interest? Not every page on your website will seem like an obvious contender for “captivating content”. A contacts page isn’t going to blow your socks off. Or is it? It all depends on how you package it. Just remember - each page will be interesting to someone out there. Make sure that when they land on it, they stick around long enough to become a lead. The most logical place to start when writing website content is to complete a keyword plan. 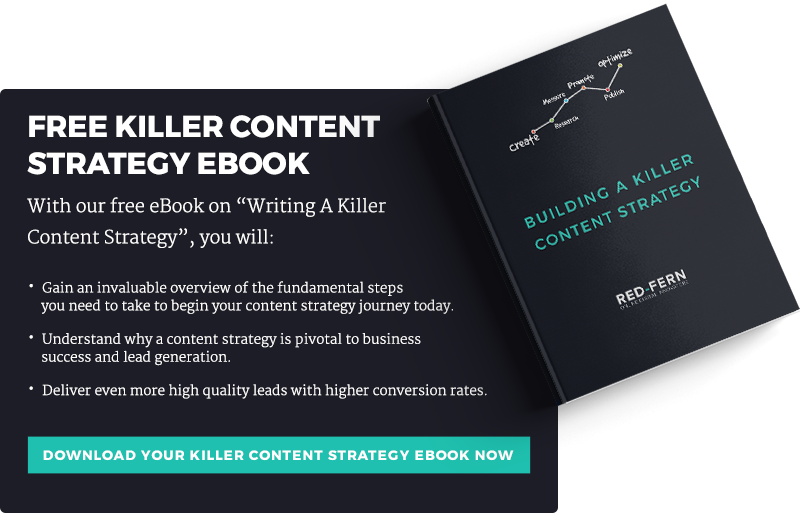 Once you’ve identified the keywords you want to include, you can map out the content you write around them. There are a million ways to write captivating content. It all rests on your level of creativity, and how your brand speaks to your customers. Some content writing companies will stress the importance of storytelling, placing the personality of your brand over everything else. Others swear by the creation of informative, long-form content that educates your customers, or gives them useful, valuable information. If you work with a website content writing professional, they'll work closely with you to develop a blend of proven writing techniques that suit your business goals, your budget and your brand. No two projects are ever the same. Consider creating a style guide. A style guide can help any writer stick with the style and tone you want to convey, down to the punctuation marks you prefer. This is particularly useful if you have a large team of writers or you outsource your content writing to freelancers. Whatever path you take, there are some hard and fast rules to stick to, however. Don’t make broad sweeping statements - it makes your customers feel like they’re being taken for a ride. Avoid the “Carlsberg” method. “Probably one of the top products in the world…” doesn’t sound impressive. It seems like you’re pulling someone’s leg. Always proofread. Nothing undermines your business or negates your point like a grammatical error, a typo or a spelling mistake. Elusive meaning and meandering sentences might have worked well for Tolkien, but you’re not writing a fantasy epic. Only your most loyal customers will stick around to find out what your point is. So make it snappy! Too many flowery metaphors and readers will lose interest. It might seem counter-intuitive to use technical language on your website, but if you’re talking directly to customers, you need to speak their language. Want To Improve Your Content? Are you looking to improve the content on your website? Have you begun to realise the importance of content marketing for your business and want to learn more? Take a look at how we could support you with setting and achieving your inbound marketing goals or read more about creating a content strategy that works. Talk to us today about how we can help you to create website content that’ll reel in those leads and drive sales.